With Pakistan restricting access to its airspace, airlines operating in the region have been forced to take indirect flight paths to get to their destinations. 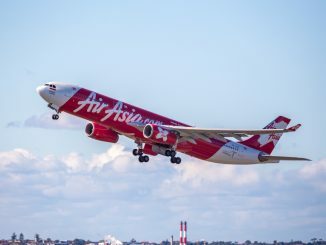 While this may mean an extra hour or so flying time and a brief delay for some, it means fuel stops for those flying the ultra-long-haul routes from India to North America. United Airlines, Air Canada and Air India, the only carriers flying between North America and India, have all been forced to factor in fuel stops to their daily services in the westbound direction from New Delhi. 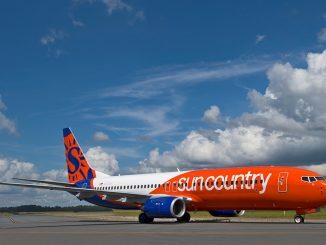 Despite knowing that their aircraft will need to make the stop, however, two airlines have been continuing to market their flights as nonstop, potentially misleading customers. As the only U.S.-based carrier to serve the subcontinent, United Airlines flies between New Delhi and Newark with a daily flight on its Boeing 777-200 aircraft. While the outbound flight from Newark to India’s capital is able to fly nonstop without difficulty as the flight is blocked at around 14 hours, the return flight is almost two hours longer, at the upper limits of the aircraft’s range. 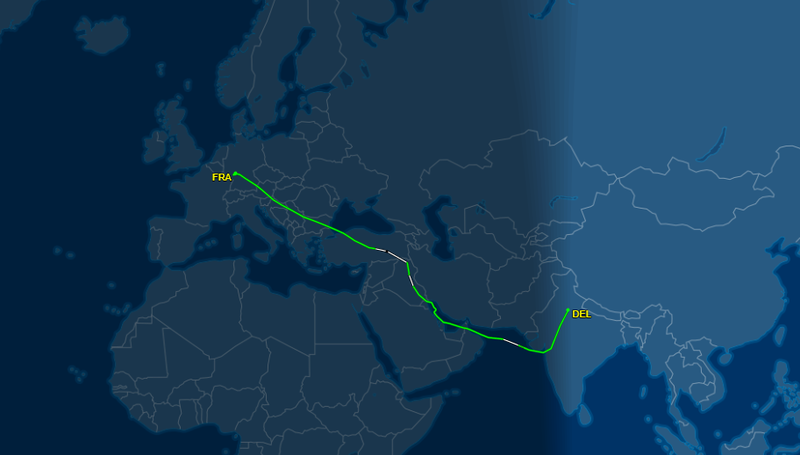 Since the restrictions were imposed by India’s neighbor to the west, United flights departing from New Delhi en route to Newark have had to make stops in Germany for fuel and to change crew. 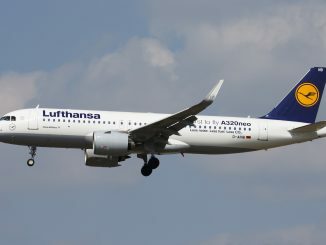 United chose the cities of Munich and Frankfurt for the stop, cities which already see United service and are hubs for fellow Star Alliance member Lufthansa. Once on the ground, the aircraft are refueled and recrewed before heading back to the skies for the remainder of the journey. 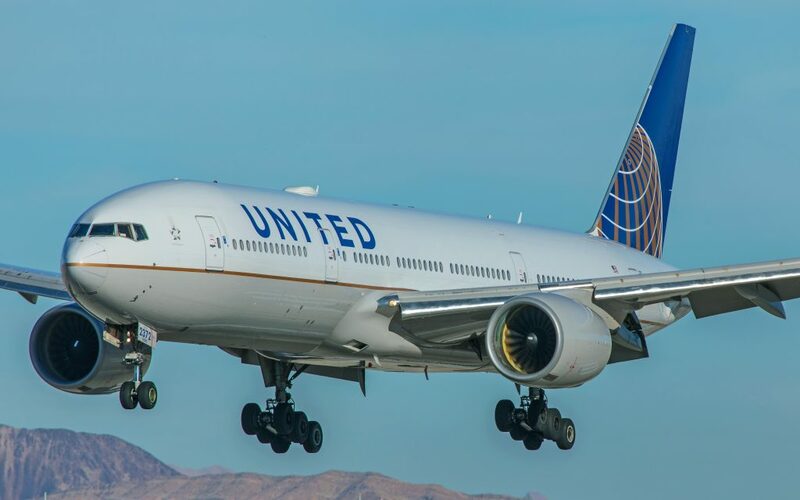 However, despite knowing that its aircraft will be forced to make a stop should Pakistan’s airspace be closed, United continued to sell its flights as from New Delhi to Newark as nonstop and as the same duration. Once booked, however, passengers received the notification that the aircraft would need to make a stop in Germany due to the airspace issues. Passengers onboard United flights described their experiences with the airline when traveling from New Delhi to Newark and the confusion that ensued as a result. 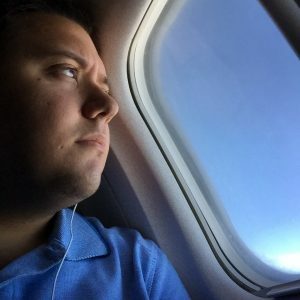 One passenger told AirlineGeeks that he received a notification that his flight had been canceled, only to call and have United tell him that the flight was still going and even the phone agent was unaware of the fuel stop in Frankfurt. The passenger, who flew home two weeks following the airspace closure, described how nobody at United could accurately tell the passengers what was going on. The resulting trip took around 20 hours. AirlineGeeks reached out to United, who said that the reasoning behind flights still being sold as nonstop instead of with the fuel stop is that the situation with Pakistan is “fluid” and that the airspace can reopen at a moment’s notice. According to the airline, the flights could and would go nonstop should the airspace open back up before departure. Marketing the flight as with a stop would be conceding before its officially known whether the stop would have to be made. Indian national carrier Air India, which serves numerous cities in the United States from major cities in India, was one of the worst affected by the closure of Pakistan’s airspace to foreign carriers. Currently flying from New Delhi to New York, Chicago and Washington with its Boeing 777-300ER aircraft, Air India has seen all of its flights from its capital city needing to make a stop in Europe along the way at an incredible financial cost to the airline. The city of choice for the Chicago and New York flights’ fuel stops has been Vienna, Austria, home to fellow Star Alliance member Austrian Airlines, while Washington flights have been routed through Air India’s secondary hub in Mumbai, a coastal Indian city within range of the U.S. East Coast with the carrier’s Boeing 777-300ERs. Although Air India has had to make these stops for the same reason as United, the already-struggling carrier’s approach has been drastically different. Instead of marketing the flights with the fuel stop in Vienna or Mumbai, the carrier has simply increased the time of the flight from its standard flight times of 15-16 hours, depending on destination, to over 20 hours to account for the additional time needed to make the stop. 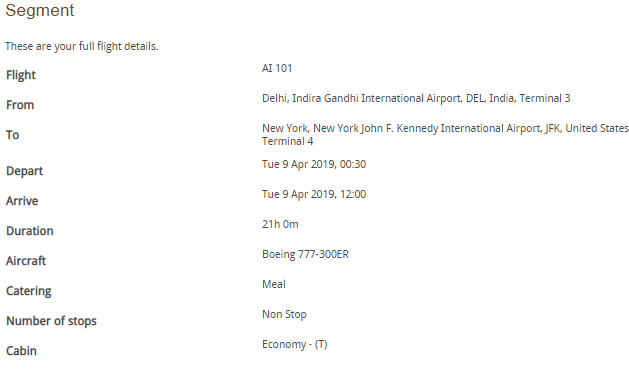 As seen on the carrier’s website, AI101 from New Delhi to New York on April 8 is marketed as nonstop yet is blocked by the airline at 21 hours; whereas the typical flight time for the flight is just over 15 hours. 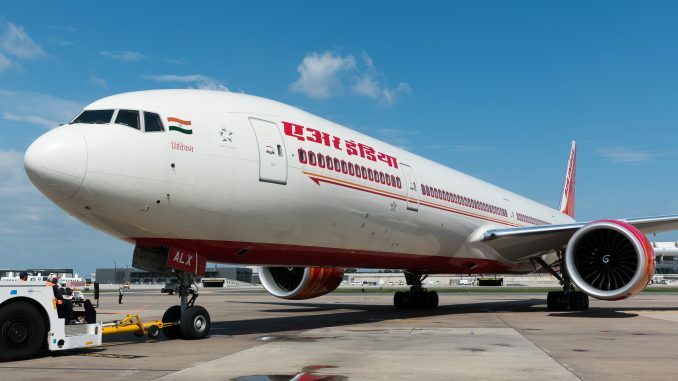 If the new duration sold by Air India had any basis in reality for a nonstop flight, it would be not only the longest flight in the world but would make Boeing, the manufacturer of the 777-300ER, blush as it would surpass all known limits of the aircraft. While the flights are rarely taking the entirety of their allotted 21-hour durations, marketing a flight as taking that long while also not including the fuel stop is highly suspect from a consumer standpoint. While still continuing to service the U.S. around Pakistani airspace, the carrier has also restricted baggage allowances to reduce fuel compensation and the estimated $1 million lost from each route while the airspace restrictions are in place. Both United and Air India, however, have conceded on their respective websites that the aircraft will have to make a stop. Air India informs passengers on its flight status page that flights to New York and Chicago will make a stop in Vienna and flights to Washington will make a stop in Mumbai until April 30, when hopefully the airspace situation is resolved, and United States on its website that the flights may make a stop for fuel in Germany. In this scenario, however, it’s up to the passenger to find out whether or not the flights will incur a stop as the airlines clearly aren’t being proactive in providing this information. So why haven’t the airlines informed passengers of this on their booking pages? Competitive advantage, amongst others. As the only airlines flying nonstop between the U.S. and India, before the airspace closure, United and Air India have an advantage over other carriers. If flying United nonstop saves a traveler 4 hours over British Airways through London, even if British Airways, United will likely win over the traveler whose time is valuable and the same goes for Air India. However, by conceding that the flights will need to make a fuel stop on their booking pages, especially when a situation is as unpredictable as this one is, both airlines are giving up that competitive edge. Despite the fluidity of the situation, however, the fact remains that both Air India and United Airlines are potentially misleading customers by selling the flights as nonstop when a stop is nearly guaranteed as long as Pakistani airspace remains closed. The question then becomes, is this a bait and switch? A spokesperson for the U.S. Department of Transportation (DOT), the main regulatory agency for U.S. aviation, told AirlineGeeks, “When a carrier has a reasonable expectation that a fuel stop is likely to be required for a given route, but nevertheless advertises the route as ‘nonstop’ without adequate notice to the consumer regarding the likelihood of a fuel stop, DOT’s Aviation Enforcement Office considers the practice to be unfair or deceptive.“ Are United and Air India meeting this criterion? The answer isn’t as cut and dry as you’d think. While United and Air India are advertising their flights as nonstop, which they would be if they were able to fly the direct routings, they are technically not violating DOT rules as they are making it known to passengers on their websites that the flights will be making a stop. It’s listed in black and white that stops will or may be made if the passenger knows where to look. Though the DOT may say the website warnings suffice as advance notice, the complaint comes from passengers who claim that true advance notice was not provided and they only found out about the stops while at the airport or less than a day before their flights, too late to do anything about it. After all, not all can be expected to be abreast of geopolitics when traveling and not everybody checks the notices page when booking a flight. The DOT declined to comment on these specific cases, stating that each complaint is handled on a case-by-case basis to determine whether an airline took the necessary precautions in these situations, but encouraged passengers who felt wronged to file a complaint on the department’s website. In cases like these, however, it’s unlikely that a regulatory body would rule against the airline. Last year, when Norwegian Air UK wet-leased an Airbus A380 to temporarily replace its Boeing 787-9 Dreamliner aircraft flying between New York and London, flights were delayed an average of four hours. 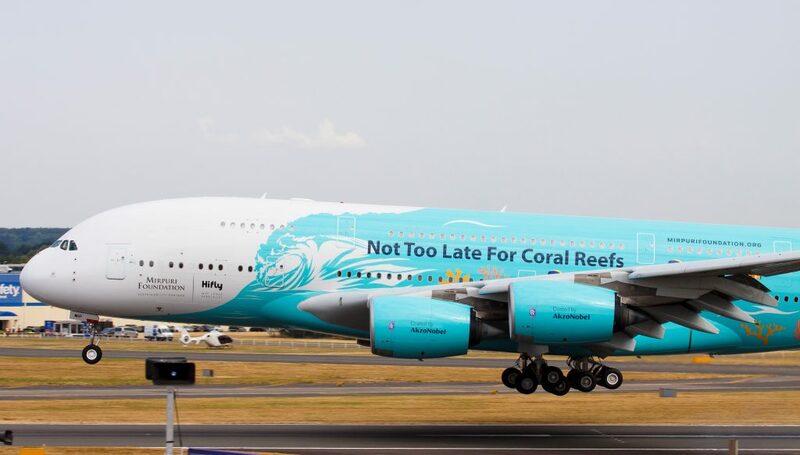 The delays occurred because Terminal 1 at John F. Kennedy International Airport could not handle the double-decker aircraft, operated by wet-lease specialist Hi Fly, at the time of the flight’s scheduled departure and arrival times. As a result, the flight delays for the flights stacked up and it was joked among aviation news reporters that passengers should show up late for their flight as it was nearly guaranteed the flight was going to be delayed as long as the aircraft was used. 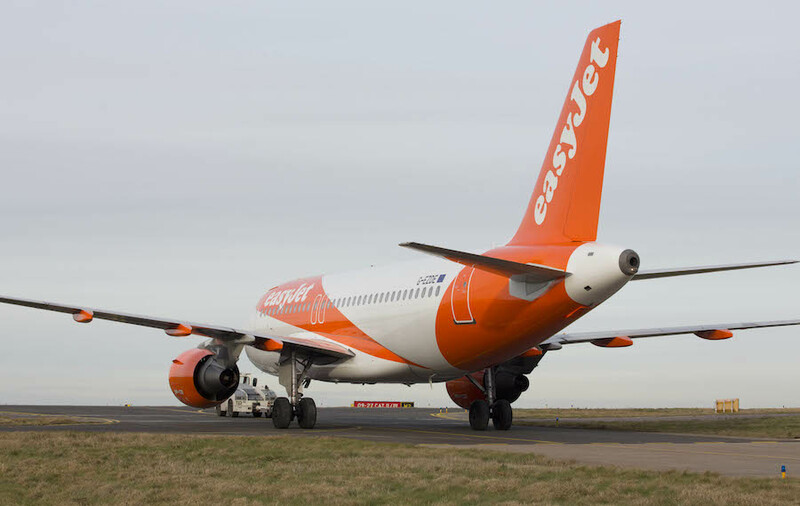 Passengers on those flights who applied for compensation under European Commission Regulation 261/2004, which dictates the circumstances under which airlines must compensate delayed passengers, were denied as the delays were out of the airline’s control, despite their length. It’s likely that in this scenario, passengers will even be turned down by the airlines for delay compensation as the airline had no other option to make the stop. As with weather or air traffic control delays, airlines are not at fault when circumstances out of their control cause a delay. As a result of the continuing restrictions on Pakistani airspace, United canceled its flights to India for a two-week period starting in early April, offering to rebook affected passengers on other carriers. While the flights could’ve continued, the indirect routings, fuel stops and crew changes likely made flying to India while Pakistani airspace remained closed unprofitable. 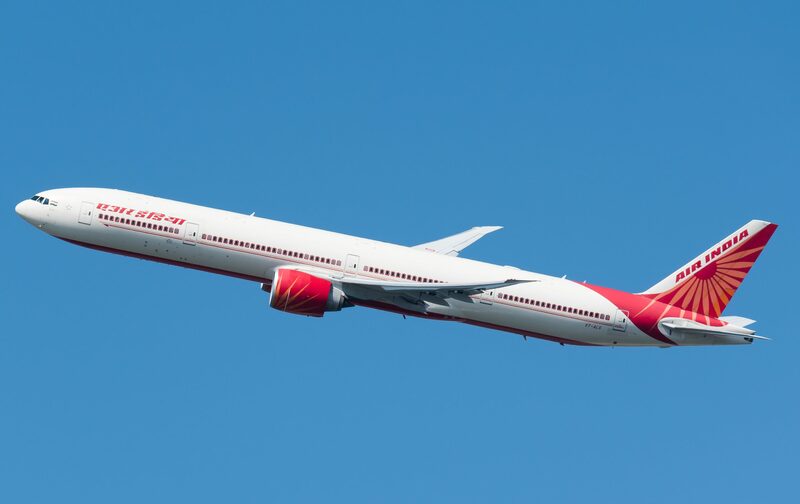 Air India continues to fly its U.S. routes. Air Canada, on the other hand, had a more eloquent solution. The carrier operates two routes from New Delhi, one to Toronto and one to Vancouver, both operated by its Boeing 787-9 Dreamliner. Flights to Vancouver fly in the opposite direction as the Toronto flights, avoiding Pakistani airspace entirely, so Air Canada decided to route its flights to Toronto via Vancouver and sell the flights as New Delhi-Vancouver-Toronto. By flying directly to Canada on an existing route, Air Canada was able to sell tickets on the New Delhi to Vancouver leg, in addition to its existing New Delhi-Vancouver flight and refuel and recrew its aircraft in an existing Air Canada hub on Canadian soil. United possibly could’ve done the same using its San Francisco hub, but would’ve still given up the right to sell its flights as nonstop. Once Pakistan begins to allow foreign aircraft to pass through its airspace, operations from all three airlines will go back to normal. Until then, however, travelers heading from India to the U.S. can expect delays, cancellations and, with almost certainly, fuel stops.